Choosing ERP is stressful. There are many, often intertwined, factors to consider when choosing business critical software, so little wonder assessing the differences between different ERP vendors has been the cause of many a headache. Although all ERP applications are initially developed for a single purpose: to enhance efficiency throughout an entire organisation, they are not all created alike. Think about the process of buying a new car, and all the things you might consider in order to make the most appropriate choices. What kind of use are you looking for from your new car? Is it a simple motor that gets you from A to B, or are you looking for a car with higher mileage and the potential to cover a greater distance? How much space do you need in your car? Do you need an MPV for a greater number of passengers, or will the basic five-seater suit your needs? You might also want to consider how easily you can accessorise your car for different purposes, and how much control you want over its appearance, functionality, or comfort. It’s a similar case with ERP. The most effective way of simplifying the ERP market is to take a three-tiered approach which will simplify a complex global marketplace into three easy-to-understand pillars. Using the new car purchasing analogy. Tier one typically services the corporate market and large, complex, multi-national businesses that have many departments, divisions and, in many cases, global locations. A tier one ERP application is built with complexity of process in mind and is likely to allow for multiple staff in multiple locations to work on a single function at any one time, thus splitting out a task among multiple users. This is a requirement for a large corporate firm, but a smaller company may be overwhelmed by the processes involved. Due to their complexity, tier one applications often take longer to implement and will necessarily contain a large number of different functions. Selecting an ERP application from tier one is similar to purchasing a Rolls-Royce, or equivalent high worth vehicle. The product will have unique features, and can be customised to your needs. It is seen as a renowned model but is rich in functionality and design technology. When you enter the market for a tailored, prestigious vehicle, it exists as a basic chassis and is not built into a full vehicle until you specify your own design requirements. Think of tier one ERP in this way too. Prior to purchasing the application, it is just a basic chassis; a simple business application. But once you specify the individual modules and functionality you require, your vendor customises and tailors it to suit the shape and needs of your business. Just like a tailored vehicle takes longer to get your hands on and take home, implementation of tier one ERP can take a long time. But once completed, it will deliver the specific business benefits you expected. Tier two applications cover the mid-market for businesses that generally have less complex needs. Because most businesses fall into this category, it is perhaps not surprising that this is also the largest of the ERP markets. The level of complexity required in tier two varies. It is because of this that vendors in tier two have developed highly vertical applications, which are often customised. By operating in a sector-specific way, vendors in this tier often have extensive knowledge of their market and provide third-party enhancements that make up for the complexity missing from out-of-the-box solutions. As a result, the Total Cost of Ownership (TCO) of a tier two application is significantly lower than that of a tier one solution. 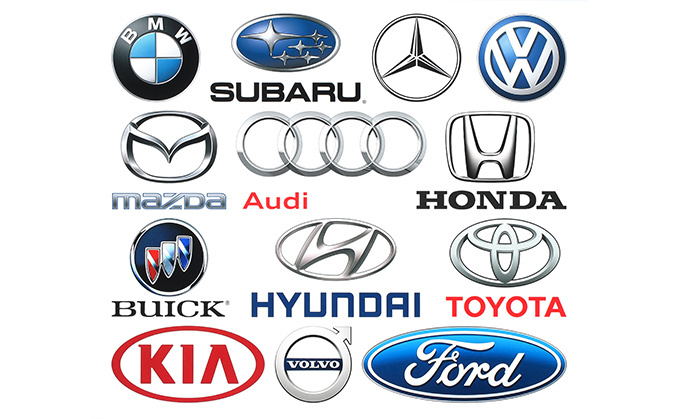 Think of tier two as similar to purchasing a vehicle from a manufacturer such as Audi, BMW or Lexus. These vendors have a wide choice of designs and functionality that can be easily accessorised and which can be tailored if necessary. They are less bespoke than a Rolls-Royce, but they are also less expensive, and often easier to maintain. These vehicles are more advanced than lower range, everyday run-arounds, and typically ERP solutions and software in this tier are likely to be planned to support business functions in the medium to longer term, and will be designed to be scalable to take account of future growth. The manufacturers designing tier two vehicles spend time getting to know the demographics of their target audiences and will design cars to suit their needs. You may see a few people driving the same car as you, but you can accessorise your vehicle to reflect and convey your individual style. Tier two ERP is similar, and this is primarily where SYSPRO sits as an application. There is a lot of choice in this sector but each vendor knows what you like and will provide a myriad of options to choose from. The one you pick fits you well and you are free to customise the vehicle yourself, or tailor it slightly to bring it more in line with your expectations. Once you purchase a vehicle from a tier two manufacturer, it will likely last a long time before needing to be replaced and the same is true with tier two ERP. Tier three is where the lower market vendors congregate. Tier three applications are designed for small businesses running a vertical line of business (LOB) application with weak accounting ability. They typically have a low TCO and because they are smaller scale applications, are often much easier and quicker to implement than tier one and two ERP. There is a risk that a rapidly growing small business can quickly outgrow a tier three application, as they have limited scalability. It’s like buying a Vauxhall, Toyota or Ford. It’s a high volume, relatively low value but solid solution that does the job you need it to. It’s economic and cost effective enough to replace when it does became end of life, or in the event that you outgrow it. Vehicles from tier three manufacturers often provide short-term, on-trend solutions and the products in this market place change very quickly to the point that they become very short life in terms of their efficiency. Tier three ERP is the same. It is more of a standard application with very little, if any customisation and tailoring ability. Tier three applications do the job you need them to do and very rarely offer any extra functionality. It’s likely for example, that you would purchase a tier three vehicle and be free to drive it away with little, if any future contact with the manufacturer, or the vendor. Yet, if you purchase a tier two or tier one vehicle, you will have more support from the manufacturer and the dealer, and will get a greater aftersales service. It’s not unlike an ERP buyer to purchase a tier three application and later find out that they have to supplement this with extra spreadsheets, or alternative software in order to account for the lack of additional functionality and support that they would get with a tier two, or tier one vendor. There is of course, no one size fits all solution to buying a new car. Even within a tier there are still choices and compromises to be made. You may love a two seater grand tourer from Italy but what you actually needs is an economical mid-sized family estate from Sweden. However, software does not have the physical restraints of car manufacture. SYSPRO offers a best of breed ERP solution without compromise. Modules are available for all aspects of your business making it flexible, affordable and scalable. It’s also fully customisable, the user interface can be changed to meet the needs of each user and to fit your brand. SYSPRO is how ERP should be. As your business grows, adapts and changes – SYSPRO does too. K3 Syspro solves automation challenge for manufacturers Software, System or Solution – What’s the Difference?